Coca-Cola European Partners (CCEP) has unveiled a brand refresh and new Sprite Lemon Lime and Cucumber No Sugar variant as part of the brands’ biggest investment in over five years in Great Britain. 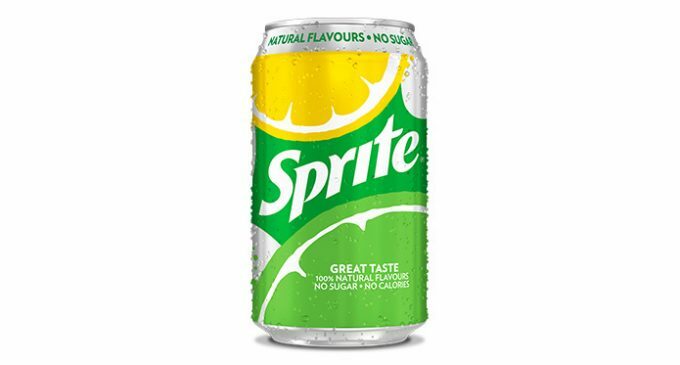 Introducing a new bottle and brand re-design across the entire Sprite portfolio, the new look will retain the iconic green colour Sprite has used since 1961, whilst up-weighting refreshment cues with lemon and lime imagery on all can and bottle formats. The dimples that currently feature on existing 500ml bottles of Sprite will for the first time form part of the 2lt bottle design, representing the drink’s refreshing, citrus bubbles. In addition to Sprite’s new look, Sprite Lemon Lime and Cucumber No Sugar have been launched. The refreshing mix of lemon, lime and cucumber will help retailers tap into consumer demand for light flavoured carbonates that are experiencing strong market growth. Made from 100% natural flavours and available in 330ml cans, 500ml and 2L PET bottles, Sprite Lemon Lime and Cucumber No Sugar is soft drinks tax exempt, contains zero calories and is free of caffeine and preservatives. Sprite is being backed by a £3.3 million marketing campaign, spanning digital and print advertising channels, which will target the brand’s largest consumer group, millennials, who consume around 65% of flavoured carbonates in GB. The campaign will communicate the brand’s natural flavour, no sugar message and over 400,000 consumers will have the opportunity to taste the new variant through in-store sampling. The whole Sprite portfolio will be Soft Drinks Tax exempt.